Like most of Joseph Silsbee's work, there is very little information regarding this home. It was built for Silsbee's brother in law, Charles Hamilton Sedgwick and was located on James Street bordering what is now known as the Sedgwick Farm Neighborhood. Charles Hamilton followed his father's footsteps and was a lawyer. With the rest of his family, he started the Sedgwick Farms Land Company and developed real estate on the land previously owned by his father, Charles Baldwin Sedgwick. The only known image of the home comes from a company brochure. Silsbee would have been residing in Chicago at the time of it's construction in 1884 and its construction was overseen by Silsbee's Syracuse partner, Ellis G. Hall. It appears to be a shingle style home with a small porch at the front and what appears to be a piazza on one side. The roof has a unique double-gable, a motif also seen on Silsbee's Thomas Drummond Home, built about a year later. 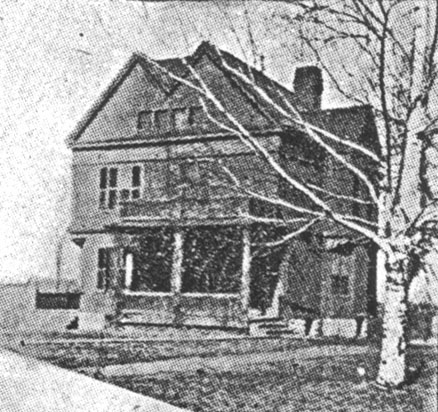 The home was demolished, likely after 1925, when Charles died.